This retractable banner stand is a complete banner system. Easily advertise your special event using this beautiful banner display system. We want you to be able to use our displays at every imaginable opportunity. 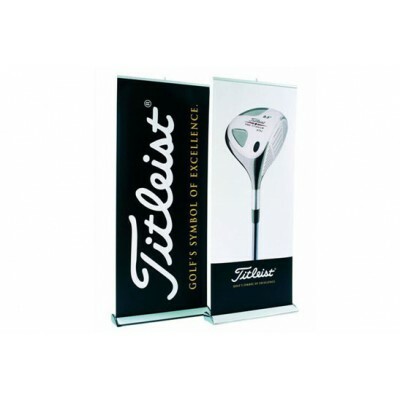 For this reason, we subject ourselves and our suppliers to stringent quality requirements, precisely to ensure that your banner stand display can be used again and again. Artwork Size including Bleed : 33.75" x 86.25"
Finished Size : 33.5" x 80"
Leave Blank Space on Bottom : 6" x 33.5"